Small to medium-sized businesses often don't have the resources to establish an in-house Chief Information Officer (CIO), leaving them at a distinct strategic disadvantage. A CIO may seem like a luxury item, a position you would love to have within your company but don't really need. However, CIOs are just as essential to modern businesses (those companies that use computers and other technology) as the heads of marketing, finance, and operations. 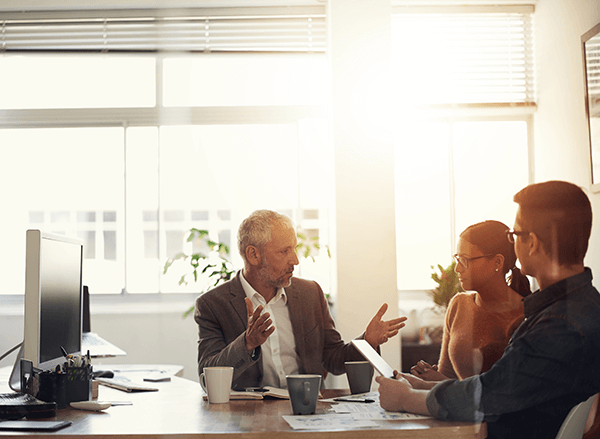 Without a dedicated IT expert at the table, it's simply not possible to make the most effective, strategic decisions about and for your organization. Because many smaller companies can't afford a full-time, in-house CIO, ICS offers virtual CIO consulting services, which is also included in their full IT support package. This allows your organization to experience all the benefits of a strategic technology expert for a fraction of the cost of a traditional CIO. A virtual CIO isn't an actual person; rather, it's a package of services we provide that, together, offer support, oversight, and strategic guidance. In addition to the actual CIO consulting, organizations that leverage this service have access to ICS' remote help desk - a service staffed by our in-house technology experts in which we deliver technical support services on-site and/or via secure online connection. When you grant us insight into your company's mission, goals, long-term plan, and budget, we're able view this information through the lens of our technical expertise to provide you with strategy-driven advice and guidance. Our CIO consulting service helps you make better decisions around technology investments so that they support your overarching business objectives. Essentially, we enable your organization to proactively plan, rather than reactively respond, so you can maximize productivity and efficiency and ultimately meet your organizational goals more quickly. Ready to invite us to your decision-making table? Want to learn more? Give us a call today to discuss how our CIO consulting services can give your business a competitive edge!